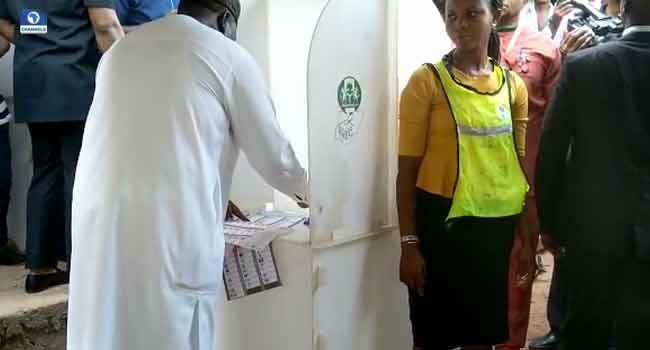 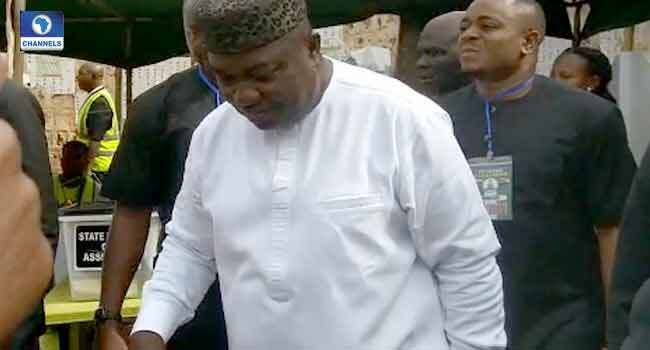 The Enugu State Governor, Ifeanyi Ugwuanyi has commended the Independent National Electoral Commission (INEC) for its prompt operations at his polling unit. 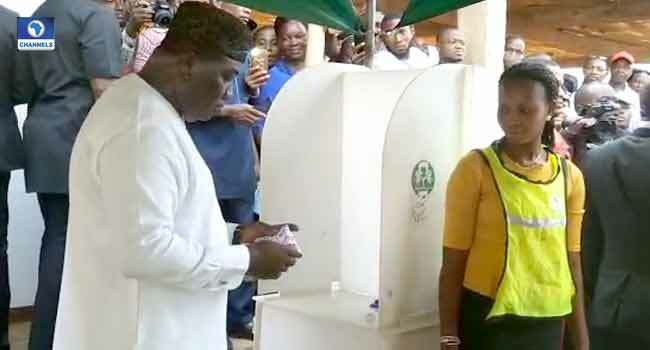 The governor made the commendation after casting his vote at Amube 1, Orba in Udenu Local Government Area of the state. 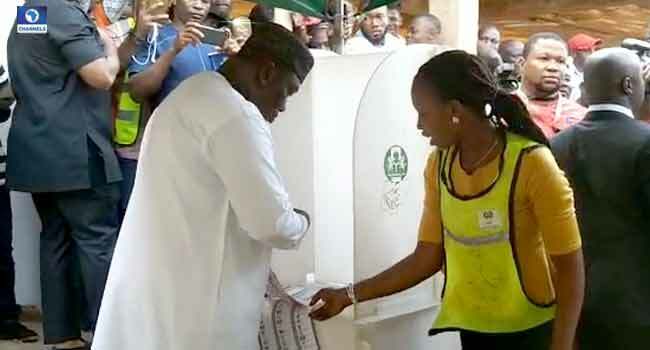 Voting commenced at 8 am in the various polling units in the state.